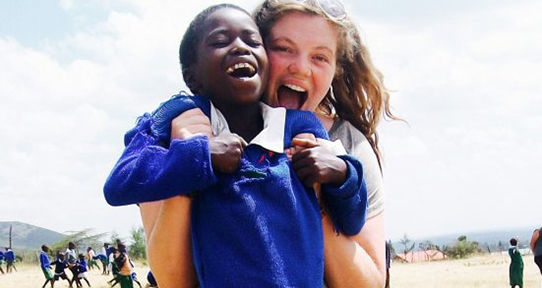 Hanna Lewis worked with Me to We in Kenya as a trip facilitator—meeting the children at the local primary school was a highlight of her placement. 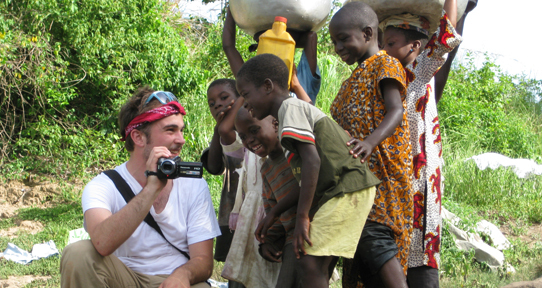 Devin Tepleski was invited to work as a documentarian and archaeologist in Ghana. 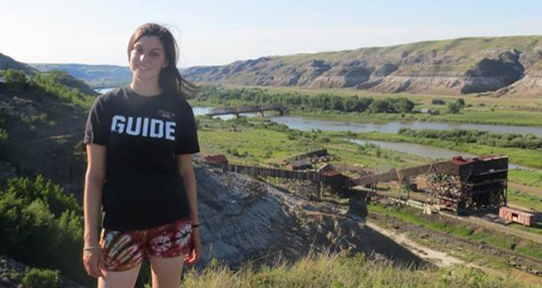 Talking dinosaurs as a heritage interpreter and guide in Drumheller, Alberta. 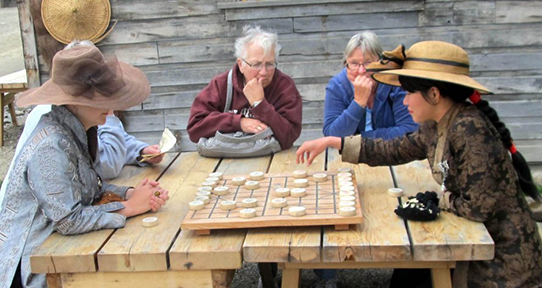 Working as a Chinatown Street Interpreter in the Barkerville Historic Town, BC. At UVic, learning extends beyond the classroom. Through co-operative education (co-op), you can alternate terms in class with paid work terms in positions related to your field of study. You'll graduate with professional job search skills, work experience, contacts in your field, strategic professional development skills, a greater understanding on how you can apply your Anthropology degree in a career that is right for you and some extra cash in your pocket. UVic Co-op is a national leader in co-operative education: one in four UVic students take part in the program each year. Where do co-op students work? What types of jobs do they try? Discover the endless opportunities by reading about other anthropology co-op students' experiences. The application deadline is September 20 and January 20 each year. Thanks for checking out the Co-op page. I hope you'll consider doing Co-op as part of your degree program. You'll have some amazing experiences as you try out different types of work for a range of organizations. You'll learn a ton, meet new friends and find out what career path is right for you. I hope to see you in the program and look forward to working with you during your time at UVic.